Step into a connected home with the Symphony ceiling fan. This modern ceiling fan is a part of Hunter's SIMPLEconnectT Wi-Fir Collection of smart home ceiling fans. It works with an integrated remote control as well as home automation applications including Amazon Alexa, Google Assistant and Appler HomeKitT. 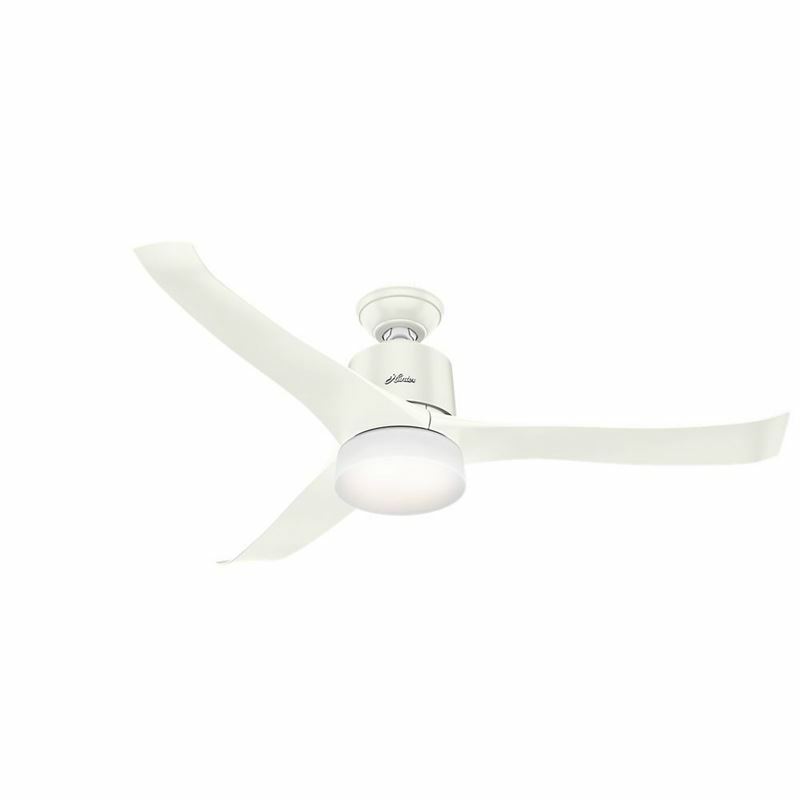 With graceful, sweeping blades, elegant lines and a glossy white finish, the Symphony is a soft modern masterpiece perfect for your large indoor living spaces.